Move in ready! Check this one out! Just a great 3 bedroom 2.5 baths Raised Ranch to get started in. 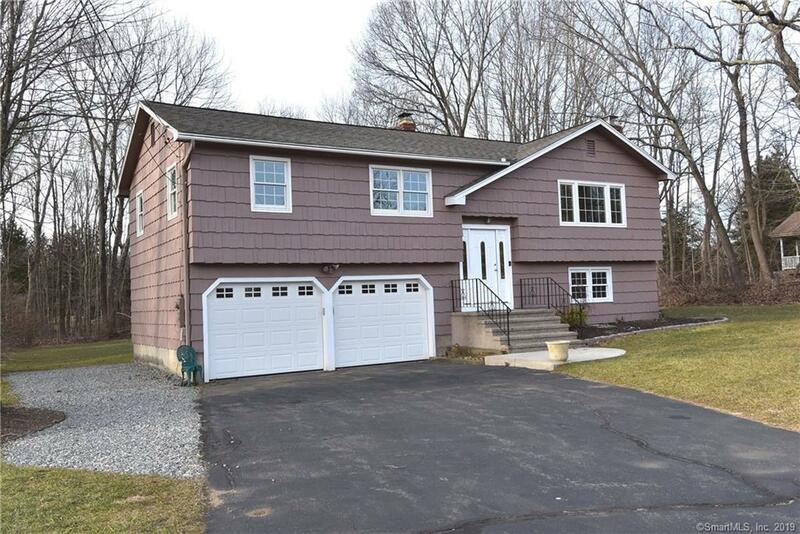 Offering: Large Living Room with Fireplace and Picture window, Dining Room with slider leading to Oversized deck, Eat-in kitchen with SS Appliances, Family room in L.L. with Fireplace, Kitchenette, and Full bath, Master Bedroom with Half Bath, 2 good sized Bedrooms with Hardwood floors, Full Hall Bath, Central Air and Vac, Large perennial Gardens, Level Back Yard with recent Shed, Near Neighborhood Circle with easy access to Schools, Interstate 84, Shopping, and Town activities!